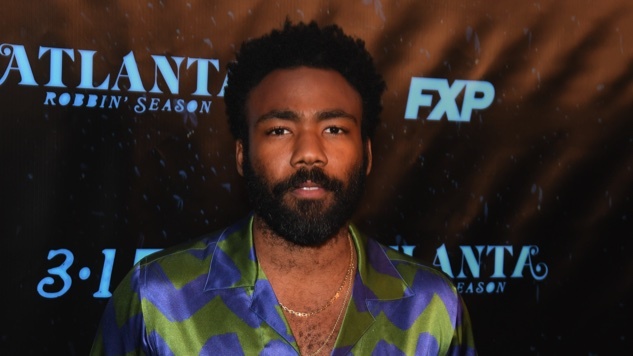 Donald Glover’s young Lando Calrissian is arguably one of the most exciting aspects of Ron Howard’s forthcoming Solo: A Star Wars Story, and it turns out that the mega-talented actor, writer and musician was just as excited to land the role as we are to see him in it. Recalling how he reacted to the news that he would be playing the iconic character, Glover told Star Wars News, “The day I found out I got it, I remember I bought a whole pizza, and went home and watched Empire Strikes Back.” In order to shape his take on Lando, made famous by Billy Dee Williams, Glover added that he watched “a bunch of other cool ‘70s stuff that I thought would be [Williams’] kind of style,” stressing that he sought to “exude that feeling currently,” rather than simply imitate his predecessor. Glover, interviewed alongside young Han Solo himself, Alden Ehrenreich, also spoke to the growth their characters undergo as a pair of maturing, young space scoundrels. “I like seeing Han and Lando beforehand because it allows you to just know that, yeah, people aren’t perfect. People have to grow,” he said, using Lando’s hair and clothes as an example of how the suave smuggler is still finding himself (and just beginning his love affair with capes) during the events of Solo. Ehrenreich recalled his initial reaction to landing his Solo role, as well (“I said a lot of words I probably can’t say here”), in addition to discussing the inspiration he drew from the original Star Wars films, how Solo differs from those films (“It has a lot of jokes, a lot of humor”) and what it’s like to be a part of a galaxy far, far away. Solo: A Star Wars Story opens on May 25. Watch Glover and Ehrenreich’s interview below, and find the latest trailer for the film right here.